Professor Bryan Williams is Emeritus Director and Distinguished Scientist at the Hudson Institute of Medical Research. He is also Program Director of the Paediatric Precision Medicine program. A distinguished researcher and international authority on innate immunity and cancer biology, Professor Williams has made major contributions to our understanding of the antiviral mechanisms of actions of interferons, advancing their therapeutic utility. His discoveries in the 2-5A-RNaseL pathway, cloning and characterisation of protein kinase R, and signalling pathways activated by interferons and innate immune activation by small interfering RNAs, have opened new therapeutic opportunities. Professor Williams received his PhD from the Department of Microbiology at the University of Otago, Dunedin, New Zealand. Following postdoctoral training at the National Institute for Medical Research, Mill Hill, London, he held faculty positions at the University of Toronto and the Hospital for Sick Children, Toronto, Canada. He was Chairman of the Department of Cancer Biology at the Lerner Research Institute, Cleveland Clinic Foundation, USA, from 1991 until joining the Monash Institute of Medical Research as Director in 2006 (now Hudson Institute of Medical Research). He served as Hudson Institute Director and CEO until July 2017. As the 1990 recipient of the prestigious Milstein Award, the International Society for Interferon Research recognised Professor Williams for his contributions to advancing interferon research for the treatment of human diseases. Elected as an Honorary Fellow of the Royal Society of New Zealand in 1997, Professor Williams served as President of the International Society for Interferon and Cytokine Research from 1998 to 1999. In 2005, he shared the Maurice Saltzman Award from the Mt Sinai Health Care Foundation, for his leadership contribution to the Case Comprehensive Cancer Center and in 2006 received the Dolph Adams Award for the most highly cited review article published in the Journal of Leukocyte Biology. In 2008, he received the Boltzmann Award for international research collaboration, awarded by the European Cytokine Society. In 2013, he was elected as a Fellow of both the Australian Academy of Science and the American Academy of Microbiology. 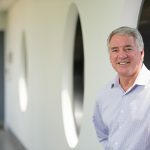 Professor Williams is Chair of the Board of BioGrid Australia Ltd, and serves on the Boards of Pacific Edge Ltd, Pacific Edge Pty Ltd, Pacific Edge Diagnostics Singapore Pte Ltd, XYnapse Therapeutics Pty Ltd and Cartherics Pty Ltd. He is Chair of the Biopharmaceuticals, Biomaterials and Medical Devices Advisory Committee for Therapeutic Innovation Australia, and is a Member of the Board of Trustees and a Member of the Scientific Advisory Council of the Hope Funds for Cancer Research (Newport, RI, USA). 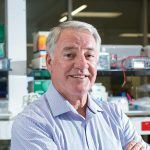 He is also a Member of the Scientific Advisory Boards of Pacific Edge Ltd and BioGrid Australia Ltd, a Member of the Scientific Review Panel for the Malaghan Institute, a Member of the International Science Advisory Panel for Healthier Lives, New Zealand, and a Scientific Advisor to EnGeneIC Ltd. 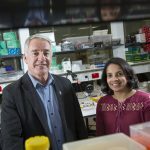 He is currently a Member of the Gottschalk Medal Awards Committee for the Australian Academy of Science and a Member of the Steering Committee of the Australian Living Organoid Alliance (ALOA). 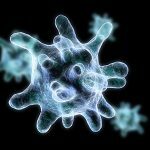 Professor Williams is an Editor for Journal of Virology. He also serves on the Editorial Boards of Journal of Interferon and Cytokine Research, Viral Immunology, Cytokine and Growth Factor Reviews, and Frontiers in Cancer Genetics, and is a Faculty Member of F1000Prime. He was Chair of the ICIS Publications Committee from 2010 to 2016. He is an elected Member of the Nomination Committee of ICIS and Chair of the ICIS Awards Committee. Ahmed AU, Yim HCH, Alorro M, Ernst M, Williams BRG (2017) Integrin-linked kinase expression in myeloid cells promotes inflammatory signaling during experimental colitis. J Immunol 199:2128-2139. Sigson EAW, Williams BRG (2017) An emergence framework of carcinogenesis. Front Oncol 7:198. Sooraj D, Xu D, Cain JE, Gold DP, Williams BRG (2016) Activating transcription factor 3 expression as a marker of response to the histone deacetylase inhibitor pracinostat. Mol Cancer Ther 15:1726-1739. Sadler AJ, Rossello FJ, Yu L, Deane JA, Yuan X, Wang D, Irving AT, Kaparakis-Liaskos M, Gantier MP, Yang H, Yim HCH, Hartland EL, Notini AJ, de Boer S, White SJ, Mansell A, Liu J-P, Watkins DN, Gerondakis S, Williams BRG, Xu D (2015) BTB-ZF transcriptional regulator PLZF modifies chromatin to restrain inflammatory signaling programs. Proc Natl Acad Sci USA 112:1535-1540. Sadler AJ, Suliman BA, Yu L, Yuan X, Wang D, Irving AT, Sarvestani ST, Banerjee A, Mansell AS, Liu J-P, Gerondakis S, Williams BRG, Xu D (2015) The acetyltransferase HAT1 moderates the NF-κB response by regulating the transcription factor PLZF. Nat Commun 6:6795. Ahmed AU, Sarvestani ST, Gantier MP, Williams BRG, Hannigan GE (2014) Integrin-linked kinase modulates lipopolysaccharide- and Helicobacter pylori-induced nuclear factor kappa B-activated tumor necrosis factor alpha production via regulation of p65 serine 536 phosphorylation. J Biol Chem 289:27776-27793. De Nardo D, Labzin LI, Kono H, Seki R, Schmidt SV, Beyer M, Xu D, Zimmer S, Lahrmann C, Schildberg FA, Vogelhuber J, Kraut M, Ulas T, Kerksiek A, Krebs W, Bode N, Grebe A, Fitzgerald ML, Hernandez NJ, Williams BRG, Knolle P, Kneilling M, Röcken M, Lütjohann D, Wright SD, Schultze JL, Latz E (2014) High-density lipoprotein mediates anti-inflammatory reprogramming of macrophages via the transcriptional regulator ATF3. Nat Immunol 15:152-160. Yuan X, Yu L, Li J, Xie G, Rong T, Zhang L, Chen J, Meng Q, Irving AT, Wang D, Williams ED, Liu J-P, Sadler AJ, Williams BRG, Shen L, Xu D (2013) ATF3 suppresses metastasis of bladder cancer by regulating gelsolin-mediated remodeling of the actin cytoskeleton.Cancer Res 73:3625-3637. Irving AT, Wang D, Vasilevski O, Latchoumanin O, Kozer N, Clayton AHA, Szczepny A, Morimoto H, Xu D, Williams BRG, Sadler AJ (2012) Regulation of actin dynamics by protein kinase R control of gelsolin enforces basal innate immune defense. Immunity 36:795-806.